Even as everyone continues to process last night’s New York Times bombshell about the FBI having opened a counterintelligence investigation into Donald Trump in May of 2017, one of the biggest aspects of the story has gone largely overlooked: the source. There is simply no way that anyone involved would have leaked this information unless Special Counsel Robert Mueller wanted it out there. It’s often said that nothing leaks on Robert Mueller’s watch. That’s true, but it’s strictly in reference to unintentional, careless leaks. Throughout this investigation, we’ve seen numerous perfectly timed leaks that just happened to allow Mueller to publicly send a message to an investigative target, or to the public, and these have obviously been intentional. 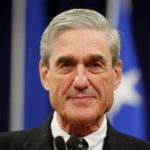 So yeah, Mueller is the one who decided that now is the time for the public to know that the FBI has had evidence for a year and a half that Trump is essentially a Russian spy. The question is why, and there are two realistic explanations. The first is that because Robert Mueller is about to produce proof that Donald Trump has been a Kremlin spy all along, he’s preparing the general public for what they’re about to hear. This way his report won’t be seen as something that came out of nowhere, but rather as something that’s based on eighteen months or more of FBI counterintelligence work. Keep in mind that the average nonpolitical person doesn’t watch cable news and hears scattered Trump-Russia buzz, but has never even heard of Mueller. However, they’ve heard of the FBI, and they understand that the FBI investigating Trump for being a spy is a big deal. The second is that Robert Mueller appears to be trying to make sure Donald Trump is rattled and agitated and on the defensive. This way, Trump may implode, or further publicly incriminate himself, or both, just before Mueller drops his report. In such case, look for more of these kinds of stories to surface in the coming days and weeks, as Mueller seeks to paint Trump as a spy, and seeks to get Trump to go completely off the deep end for all to see.